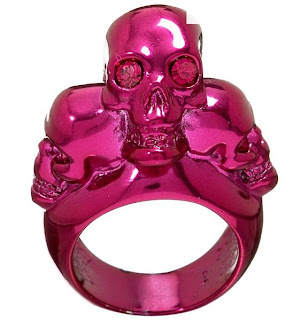 Alexander McQueen Tri-skull rings.. comes in a whole bunch of fabulous colors: rose gold, yellow, turquoise, yellow and this one is fuschia! I love bright chunky jewelry, and skulls! So these are absolutely perfect.